Reddit user soupycutie writes: “People have speculated that Fantastic Beasts will tie in to Voldemort’s birth, due to the fact first movie takes place in 1926. Voldemort (Tom Riddle) is born of Merope Gaunt on December 31st 1926. “A poster seen in the first Fantastic Beasts movie speaks of a circus called the Circus Arcanus moving from New York to Europe on December 13th 1926. “The last trailer for the new Fantastic Beasts movie confirms that the snake girl who is part of the circus is Nagini, a Maledictus who will go on to become Voldemort’s pet snake. “In Half-Blood Prince, we find out from Mrs Cole that Merope arrived at Wool’s orphanage, gave birth to Tom Riddle, and died soon after, though I believe Merope faked her own death. “Cole says: ‘I remember she said to me ‘I hope he looks like his papa’, and I won’t lie she was right to hope it, because she was no beauty — and then she told me he was to be named Tom, for his father, and Marvolo, for her father — yes, I know, funny name, isn’t it? We wondered whether she came from a circus’. “So this could be a coincidence, but it seems Rowling may already have had the idea that Merope/Nagini was part of the Circus Arcanus. Perhaps Merope was looking ugly due to her upcoming permanent transformation into a snake. “If this were true, and Voldemort was the child of the Maledictus Nagini, it would explain Nagini’s maternal relationship with Voldemort in the books. 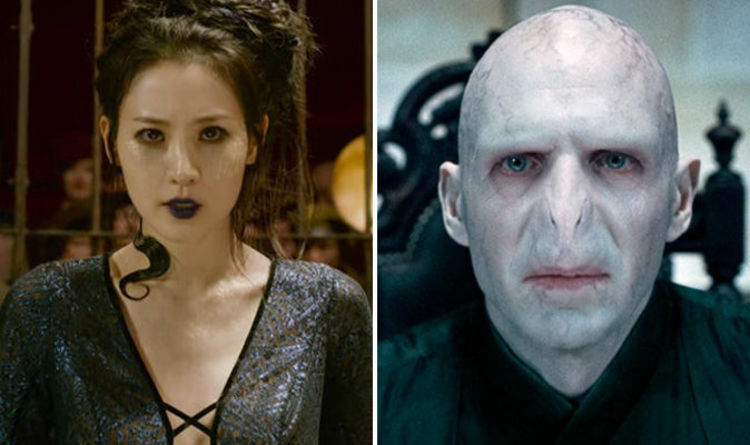 If the two were able to communicate via parseltongue, this theory would explain why Voldemort is so fond of Nagini, entrusting her to become a Horcrux. “Voldemort drinks Nagini’s venom to regain strength in his baby-form in Goblet of Fire, an obvious parallel to mother’s milk. It may even explain why Voldemort develops snake-like characteristics. But craziest of all is how this might explain how Voldemort was able to recover to a baby-form at all. Pretty convincing theory, but isn’t the last part a bit much?